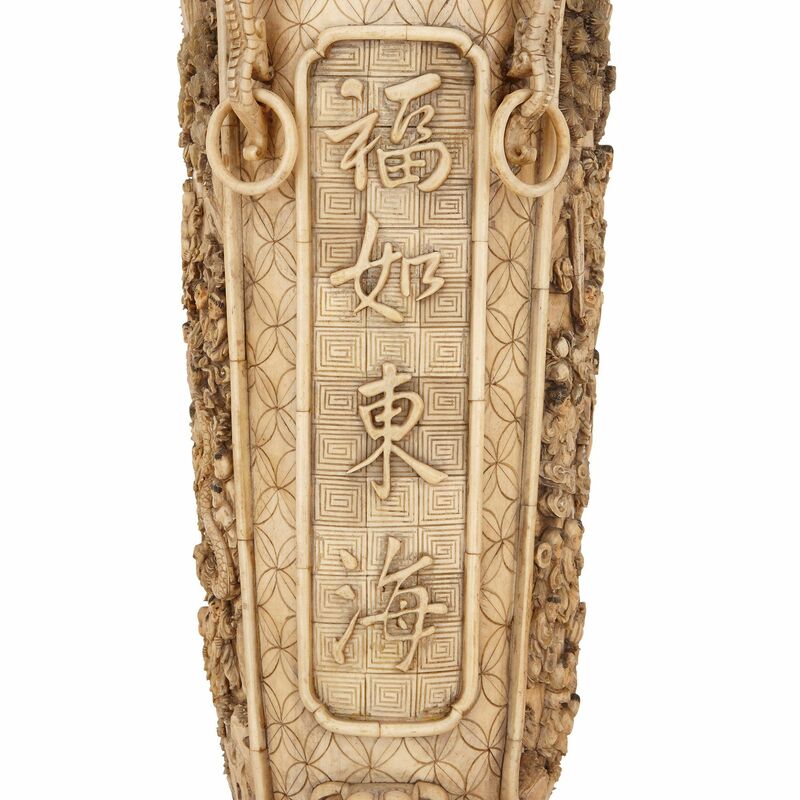 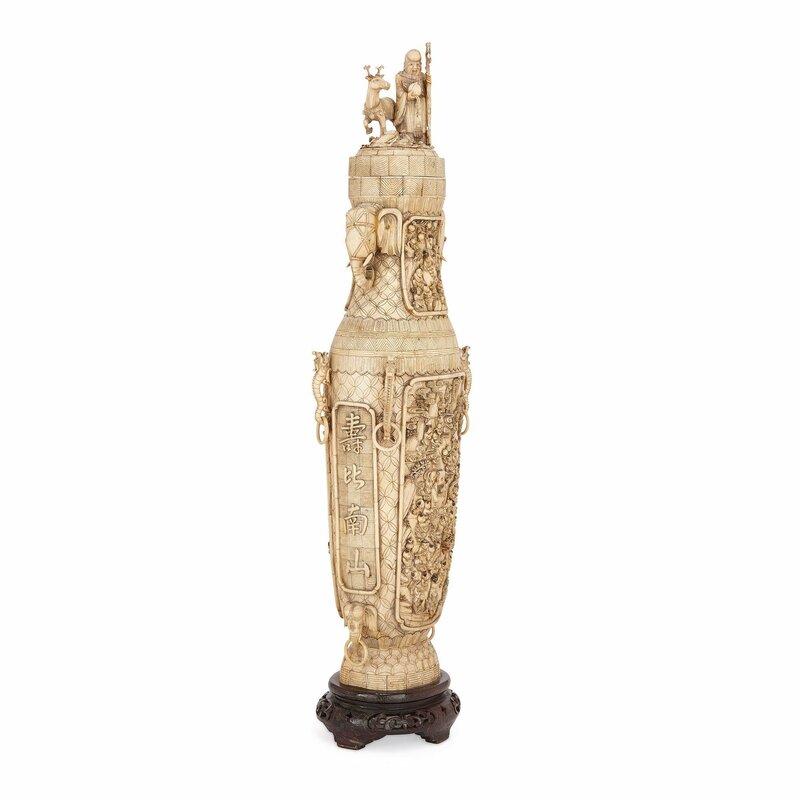 This stunning antique ivory vase is significant for its high quality of detailed carving, showcasing the skill of fine Chinese Qing dynasty craftsmen. 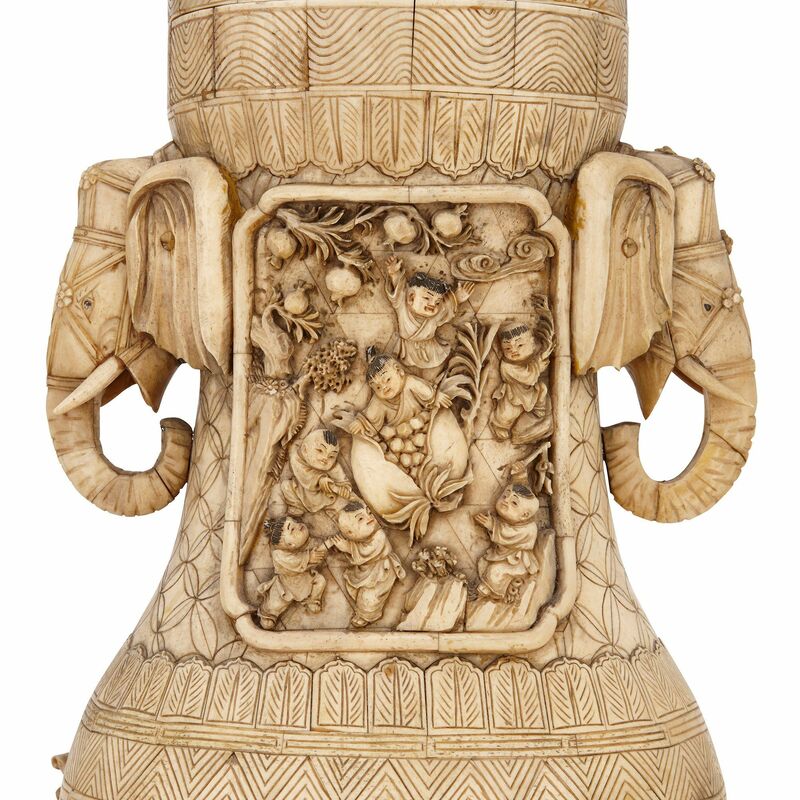 The vase is crafted entirely of bone and ivory and is carved intricately all over. 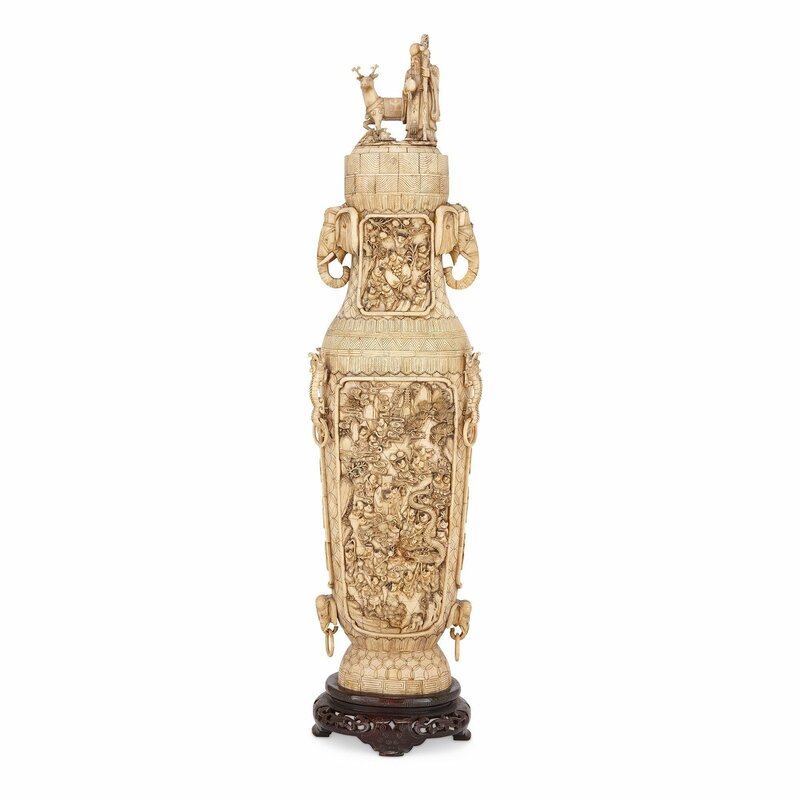 The vase is ovoid form, featuring a short, waisted base and a tapered neck with cover. 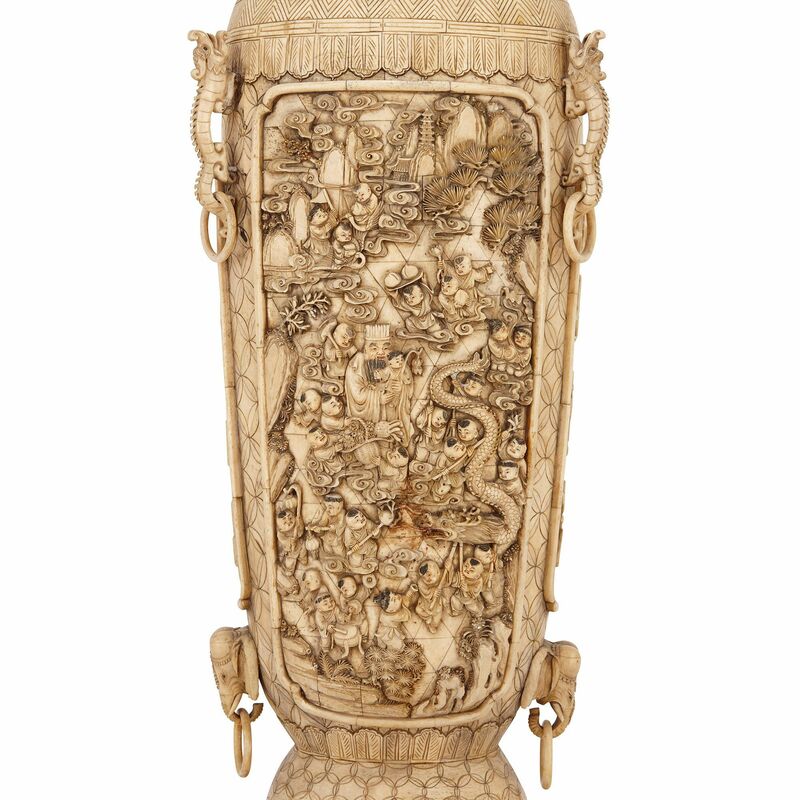 The vase is set on a circular wooden stand carved with scrolls and featuring four feet. 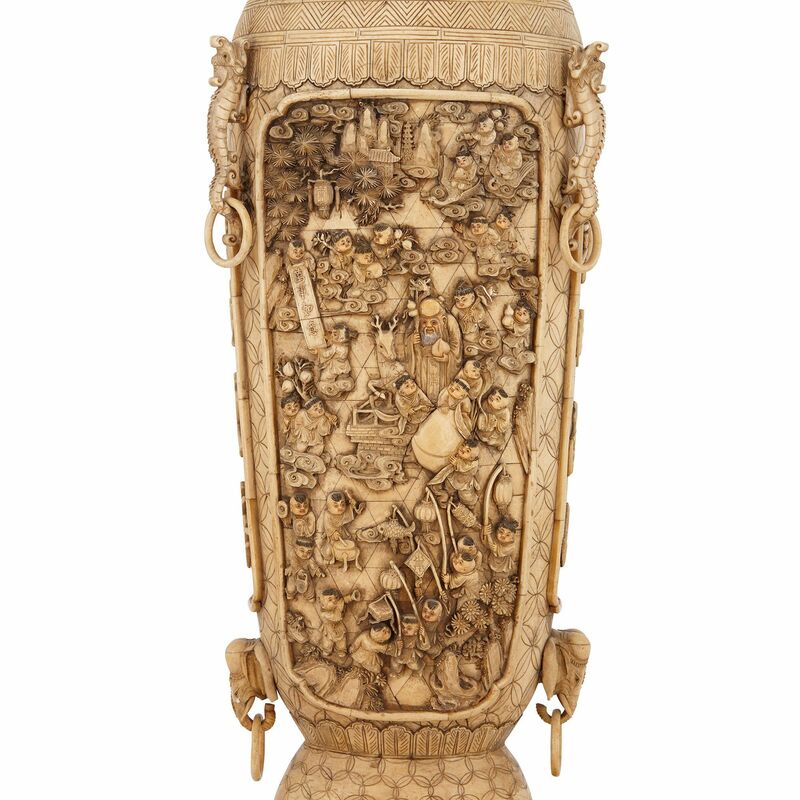 The vase features a scale-like pattern engraved all over, and features two large panels - one to each side - which are intricately carved in relief with figural court scenes, and to the opposing two sides are narrow panels of engraved Chinese characters. 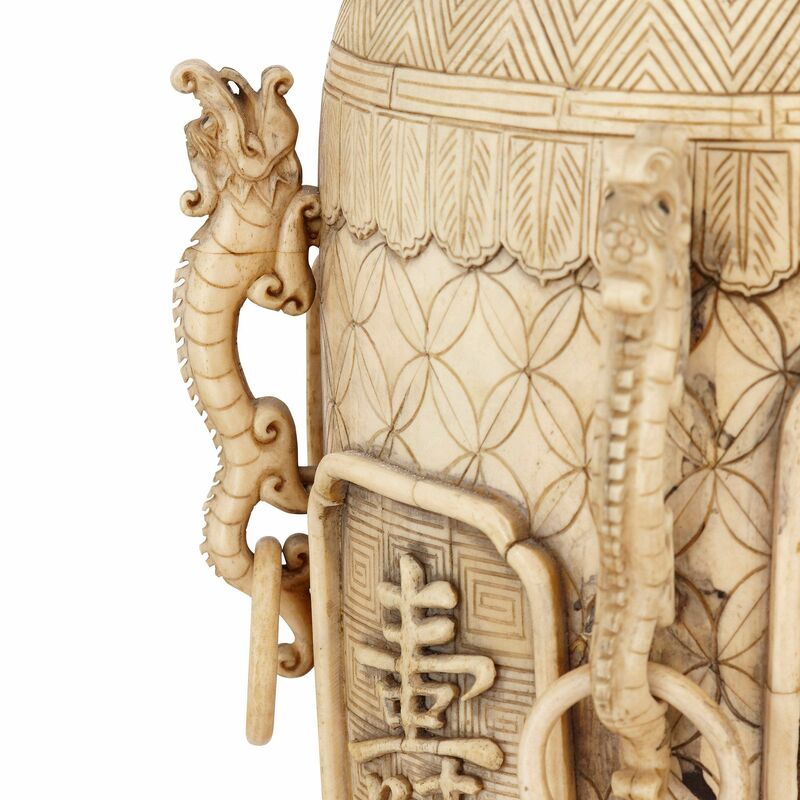 Between the scenes and characters are mounted elephant heads to the lower section and dragons to the upper section. 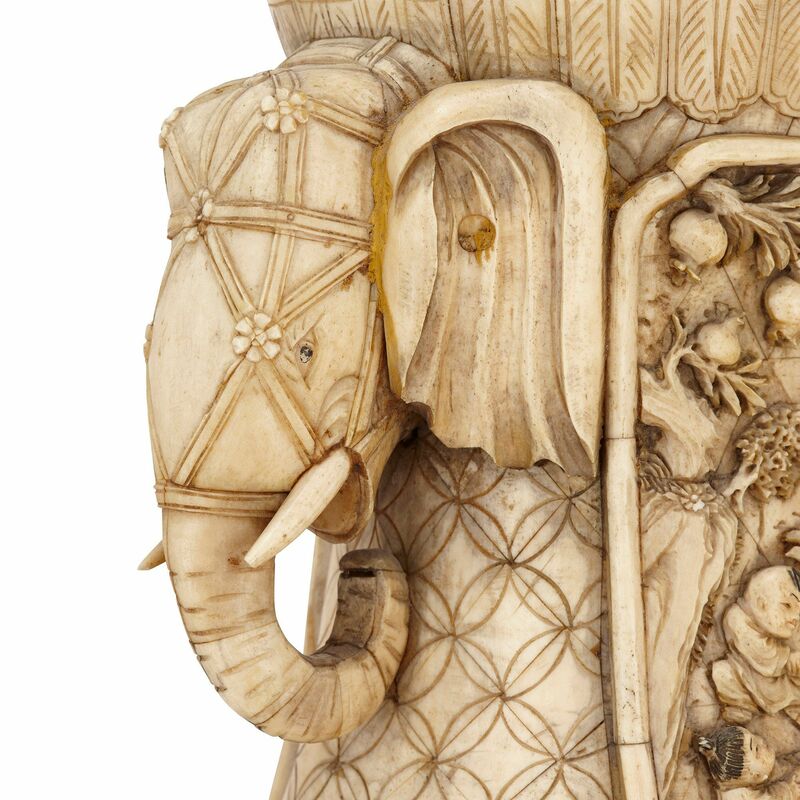 The neck of the vase is decorated to two sides with engraved court scenes in relief, and to the two opposing sides of the neck are mounted elephant heads. 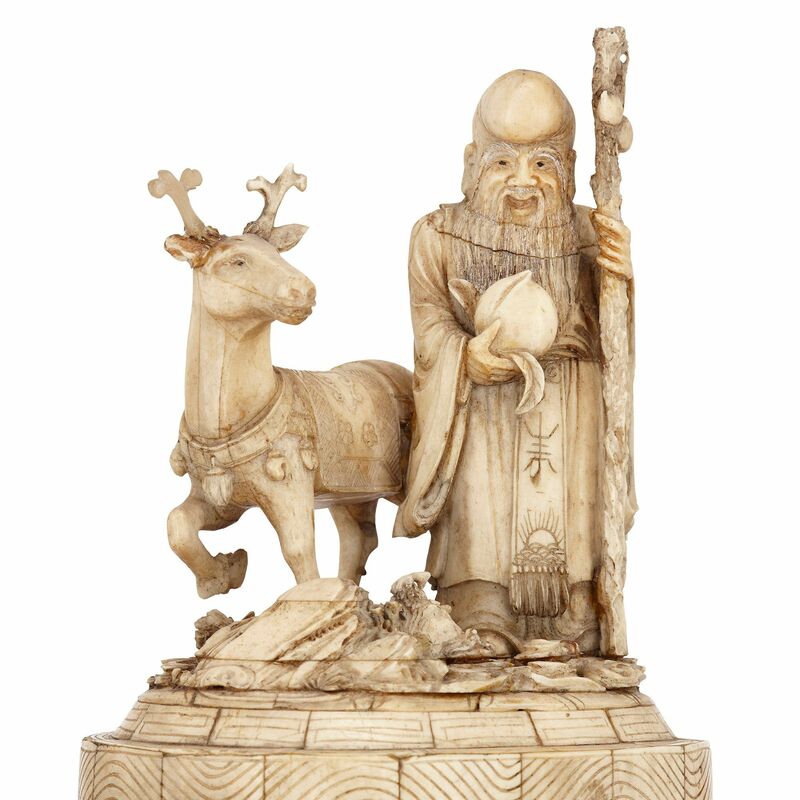 The cover of the vase is surmounted by a figure holding a staff and a reindeer.